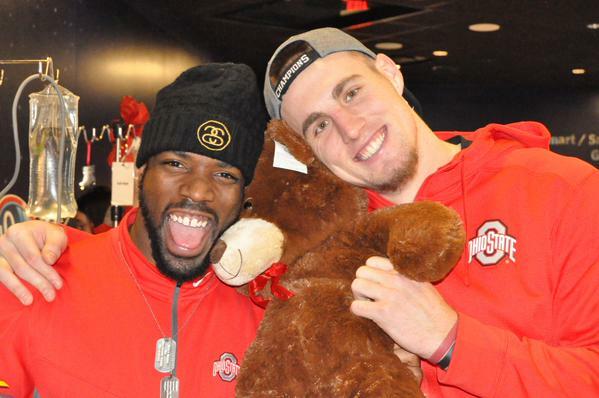 What’s A ‘Matta’ With Ohio State Basketball? On July 4, 2002 Thad Matta took the reins of the Ohio State Basketball program. As of this writing, Thad has a 74% winning percentage (335-119) as Ohio State Head Coach. He has taken the Buckeyes to the NCAA Tournament nine times with two Sweet Sixteen appearances, one Elite Eight & Final Four appearance and a runner-up performance in 2007. 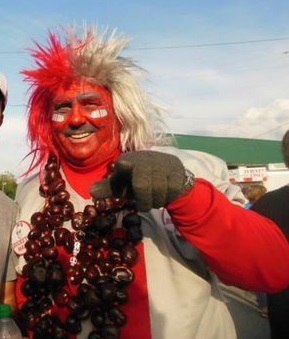 The Buckeyes have won the Big Ten five times under his leadership. So why are the rumblings of getting rid of Matta as Ohio State Head Man growing louder & louder? For one, Matta no longer seems to be able to recruit top-notch players like the Odens & Conleys of the past and the few he did land recently (Daniel Giddens, Mickey Mitchell & Austin Grandstaff) decided to move on to other programs. Plus, watching Nigel Hayes from Toledo dominate for Wisconsin still stings. The Buckeyes fell in the second round of last year’s NIT (to Florida as a road team on their own court) and appear to be headed to a NIT berth at the very best again this season as they languish in the Big Ten with a 5-8 record. So what is going on with Thad? Is he just mailing it in as Head Coach? It is no secret that Matta has been dealing with back issues for a few years now. 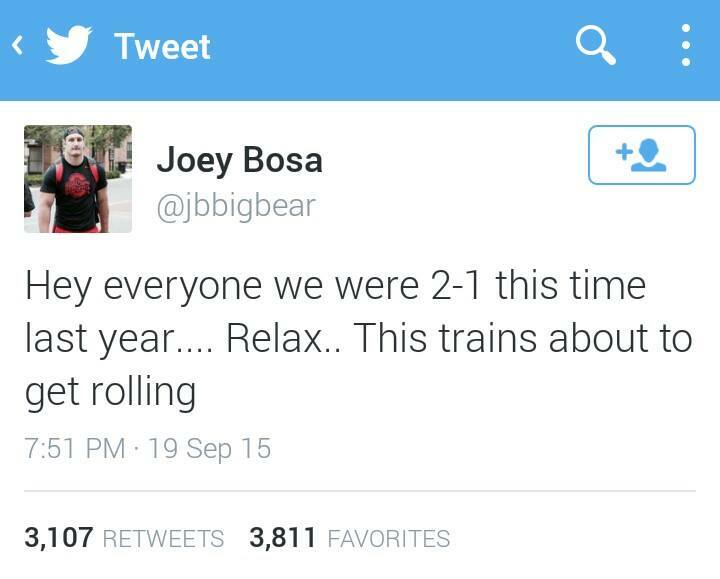 And bottom line, the Buckeyes just look flat. There have been flashes of excitement (a win over Michigan recently gave a glimmer of hope) but for the most part this team just seems to be going through the motions. Value City Arena has become a mausoleum this season, with many empty seats and less than enthusiastic crowds. Now, let’s be honest, Ohio State is and always will be a football school. But Ohio State deserves better than back-to-back NIT tournament teams. It may be time to send Thad packing. March Madness has begun! Here is your guide to how the “Madness” is infecting us and you! Remember the Dayton Flyers? We are sure most Buckeyes fans do after last year’s tournament. They will be a part of the “First Four” as they face Boise State Wednesday (3/18) at 9:10pm in UD Arena. Yes, you got that right. The Flyers will be playing a home game to advance in the NCAA Tournament. If they defeat Boise State, they will take on Providence here in Columbus at Nationwide Arena Friday (3/20) at 9:57pm. It should be a wild ride for the Flyers and their fans. Columbus will be a part of the Madness as second round games will be played at Nationwide Arena. On Friday March 20th, 5th seeded West Virginia will take on the 12th seed and MAC Tourney Champion Buffalo at 2:10pm; 4th seeded Big Ten newbie Maryland faces 13th seeded Valparaiso at 4:40pm. The evening session will have 3rd seed Oklahoma versus 14th seed Albany at 7:27pm and then the aforementioned Providence vs Dayton or Boise State game at 9:57pm. The Buckeyes enter the NCAA Tournament as a 10th seed and will play in the West Region starting Thursday, March 19th. 7th seed VCU is their opponent. The game will tip off at 4:40pm ET in Portland, Oregon. VCU is known for it’s smothering defense and Shaka Smart is one of the game’s most underrated coaches. The Rams won the Atlantic 10 tournament over Dayton. Senior G/F Treveon Graham was first team All-Atlantic 10 and averages 16.2 points and 6.8 rebounds per game. We are sure most of you reading this are familiar with the Buckeyes and their less-than-stellar season. It should be a tough test for D’Angelo Russell & company. Here is Thad Matta’s reaction to learning VCU will be Ohio State’s initial opponent in the tourney. Need a bracket to fill out for March Madness? Don’t worry we got you covered right HERE! Cant make it to the games at Nationwide Arena Friday? Head out to the Buckeye Hall of Fame Grill located at 775 Yard St. in Grandview on Friday, March 20th for an all-day March Madness viewing party. 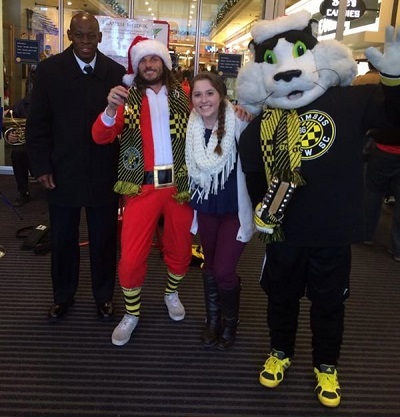 95.5 The Game’s Torg and Stiller will host the party from 4-6pm. Purchase raffle tickets to win prizes from 95.5 The Game, Corona, College Traditions, and Dreamseats! Money raised from the raffle to benefit the Jimmy V Cancer Research Foundation. The Game’s TAKEOVER of the Buckeye Hall of Fame Grill is brought to you by College Traditions, Dream Seats, Corona, Corona Light and Columbus’ Sports Station, 95.5 The Game! 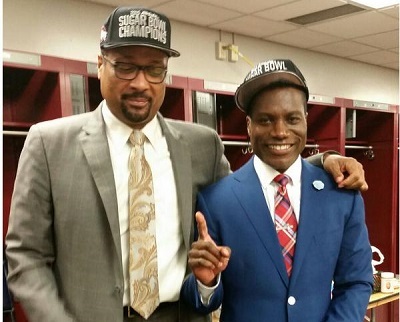 Beat The Blues With This Buckeyes National Championship Video! Missing football? Beat the blues of no football with this exciting video released by Ohio State recapping the thrilling National Championship victory over Oregon! What Will We Do Without Football!? So the Super Bowl is over and the New England Patriots are your NFL Champions. So has the depression sunk in yet? The sadness of now knowing football is done for yet another season. Couple that with the fact that Central Ohio just finished celebrating a National Championship season for the Ohio State Buckeyes and the funk becomes even greater. Cheer up friends! There are plenty of things to get excited about until the start of the next football season. Thad Matta, D’Angelo Russell & the Ohio State Hoopsters are already in the middle of another exciting college basketball season! It should be another fun battle in the Big Ten Conference as we head to March Madness…where the BasketBucks will probably get upset by another mid-major. We are coming off of a wonderful NHL All Star experience here in Columbus, so why not get behind your Columbus Blue Jackets? Why let little things like the CBJ digging themselves into such an early hole that the Stanley Cup Playoffs seem like a pipe dream or a roster decimated by injuries to stars like Nathan Horton and Sergei Bobrovsky keep you from being a member of the “5th Line”? It won’t be long before the “Boys of Summer” will be in Arizona getting ready for another Major League Baseball season! Don’t tell us you aren’t getting a little bit excited for a marathon 162 game season in which both the Cincinnati Reds & Cleveland Indians will march in the hot summer sun to…..most likely mediocre seasons at best. Who are we kidding?? We are going to be miserable without football. So keep working on those mock NFL drafts and counting the days until the Buckeyes Football Spring Game. We can make it until then, right? What a fantastic New Years Day it was as THE Ohio State Buckeyes defeated the Alabama Crimson Tide, exorcised the SEC demons in the Sugar Bowl and shut up the “haters” as they head to the National Championship Game on January 12th! 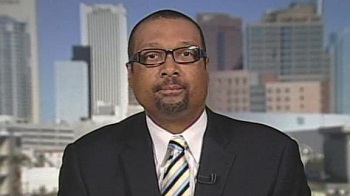 Our “buddy” Mark May had to eat some major crow after the game. 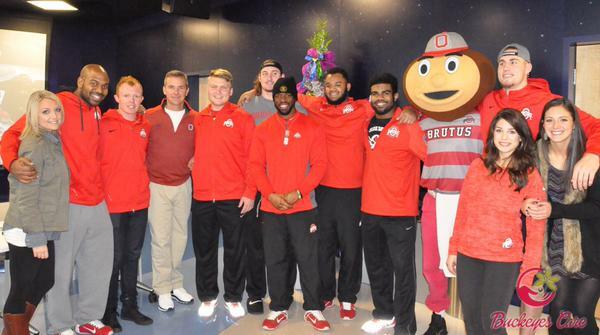 So everyone is on board and ready to praise our beloved Buckeyes…or are they? 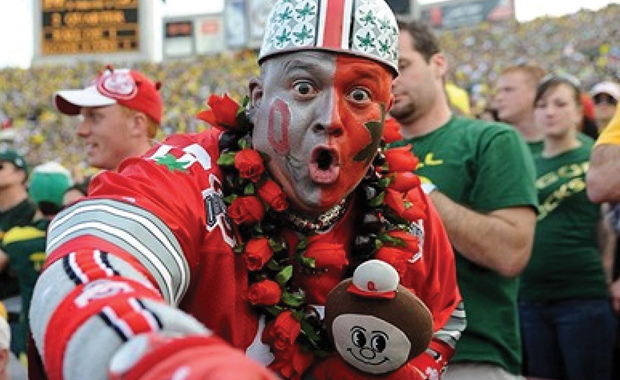 Vegas bookmakers immediately installed Oregon as a touchdown favorite over the Buckeyes and many are already crowing about how the Ducks will take down the Bucks. Urban Meyer seemed shocked when he heard how badly Oregon had beaten Florida State in the Rose Bowl. The Buckeyes have been here before. All of the pundits and seemingly the world against them. 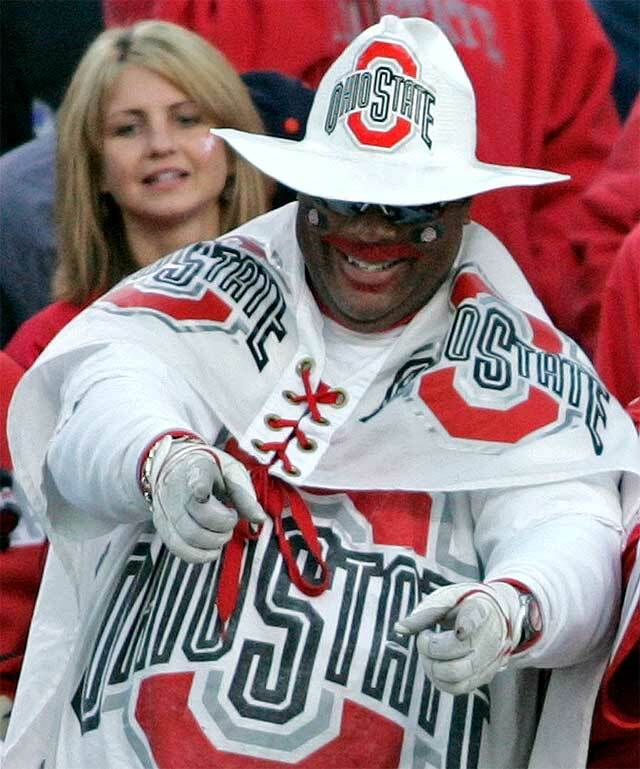 Let’s face it, the Buckeyes are the “New York Yankees” of College Football. 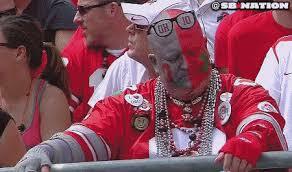 Most outside Buckeye Nation want them to lose and when they don’t the “haters” find ways to knock them down again. Prove them wrong, Buckeyes. 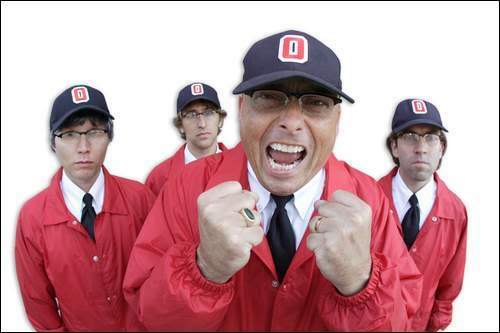 We at 955 The Game and Buckeye Nation are behind you. Go Bucks!! 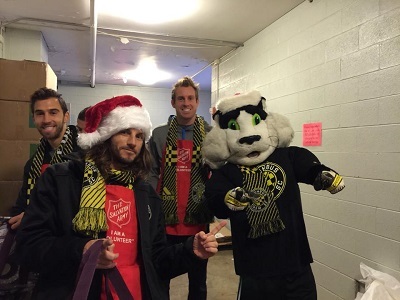 Your favorite Columbus sports teams celebrated the spirit of the Holiday Season by sharing their time & talents with others. 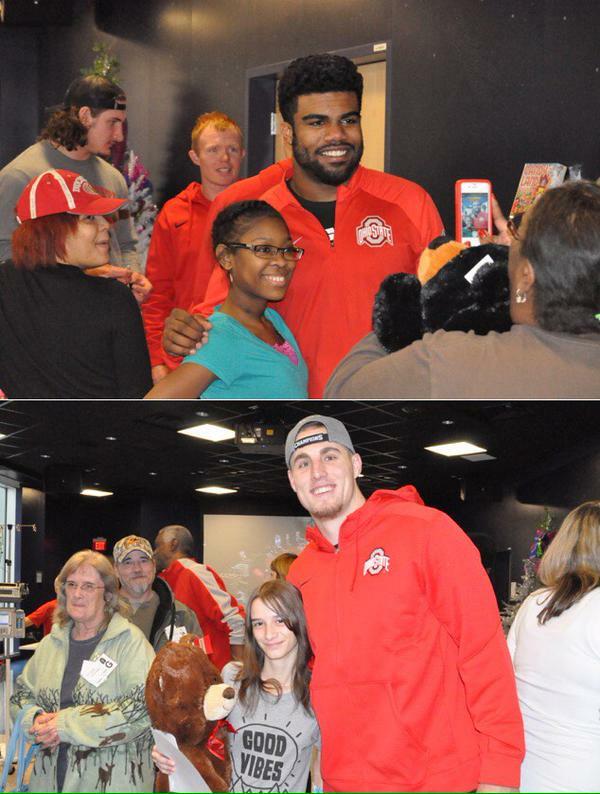 The Big Ten Champion Ohio State Buckeyes Football Team visited Nationwide Children’s Hospital. 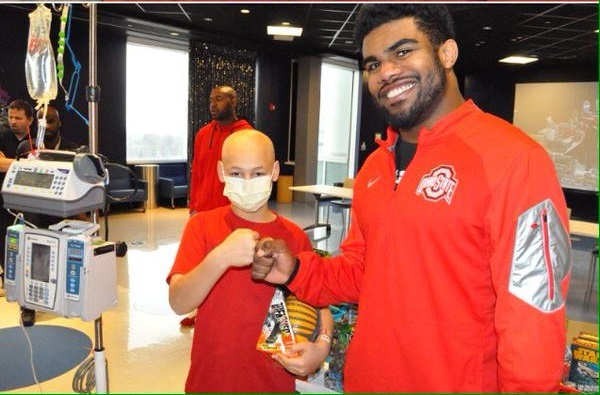 Urban Meyer, Joey Bosa, Ezekiel Elliott, Michael Bennett, Doran Grant, Jeff Heuerman, Cameron Johnston, Sean Nuernberger and Brutus Buckeye handed out presents, took photos and signed autographs for over 30 children, their parents and hospital staff. 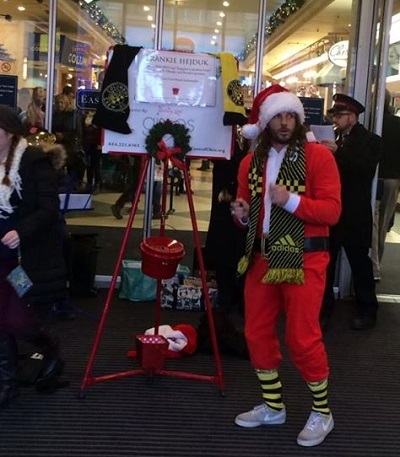 Take some time during this Holiday Season to help those who may need a hand. Happy Holidays from 955 The Game. Congrats to the Buckeyes! 2014 Big Ten Football Champions! It was a complete annihilation as the Ohio State Buckeyes demolished the Wisconsin Badgers 59-0 in the 2014 Big Ten Football Championship Game at Lucas Oil Stadium in Indianapolis. Third string QB Cardale Jones had quite the performance with 257 yards passing and three touchdowns in earning the game MVP. Wisconsin RB & Heisman candidate Melvin Gordon was contained- Gordon ran 26 times for 76 yards, his second-worst game of the season. On the other side, Buckeyes RB Ezekiel Elliott toted the rock 12 times for 150 yards and two scores in the first half and finished with 20 carries for a career-high 220 yards. WR Devin Smith caught four passes for 137 yards and three scores. The Ohio State defense played inspired and in tribute to Kosta Karageorge, the defensive lineman who was found dead a week earlier. Wisconsin suffered their first shutout since August 1997 and their worst loss since a 59-0 rout, also to the Buckeyes, in 1979. The next day the Buckeyes got the news that they were a part of history, receiving the #4 seed in the inaugural College Football Playoff. They will face the Alabama Crimson Tide in the Sugar Bowl on January 1st. 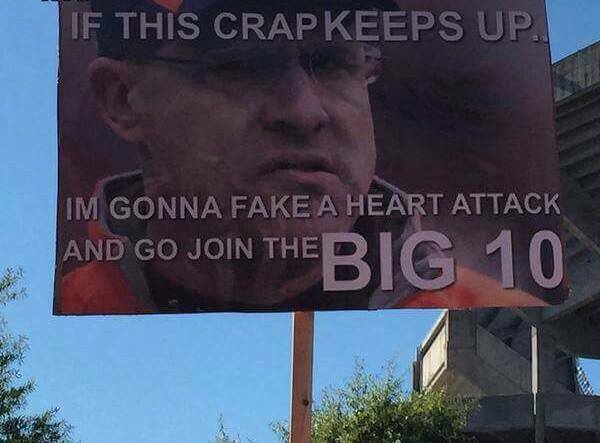 955 The Game is YOUR Place to talk Buckeyes! Every weekday 12-1p with The Torg & 4-6p with The Stiller Project!